Cardiff By The Sea Real Estate is considered to be one of the same with Encinitas Real Estate. 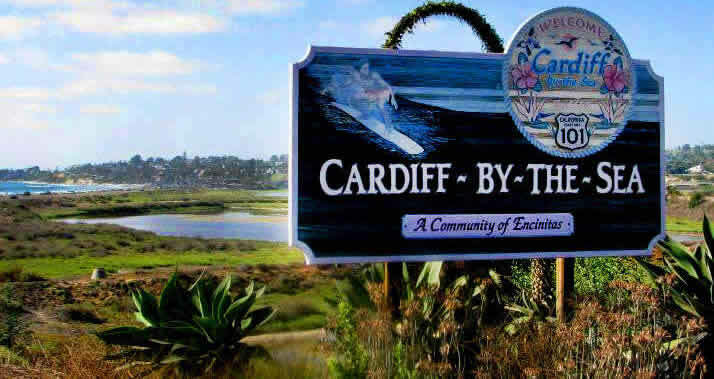 Once an individal city, Cardiff by the Sea is now a neighborhood amongst the city of Encinitas. Our Cardiff By The Sea Real Estate agents can guide you through the many areas of Cardiff By The Sea whether you are looking for Cardiff By The Sea condo or Cardiff By The Seahomes for sale. For a complete list of Cardiff By The Sea homes for sale please visit our Cardiff By The Sea MLS search. Our team of Cardiff By The Sea Realtor Associates can help you with your search for the perfect home. The city of Encinitas is a great place to live filled with sophistication and style. Here is your guide to Cardiff By The Sea Real Estate no matter if you are looking for a Cardiff By The Sea home for sale or a Cardiff By The Sea home for rent, we our your Cardiff By The Sea rental property specialists! If you are new to Cardiff By The Sea it can seem a bit overwhelming. We have broken down the different areas of Cardiff By The Sea below.